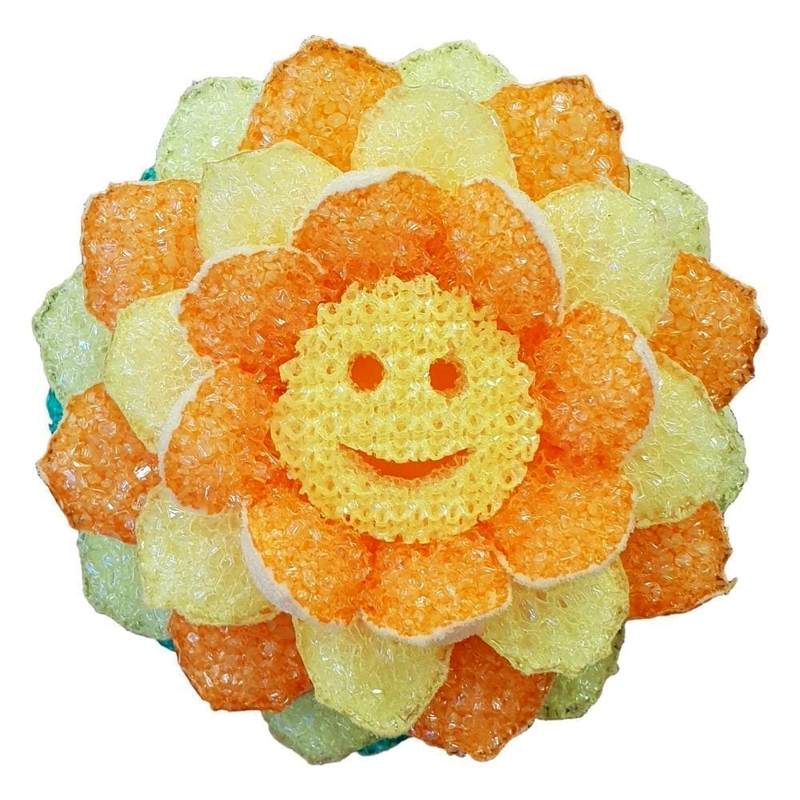 Daisy’s petals are made from Scrub Daddy’s exclusive FlexTexture® material. 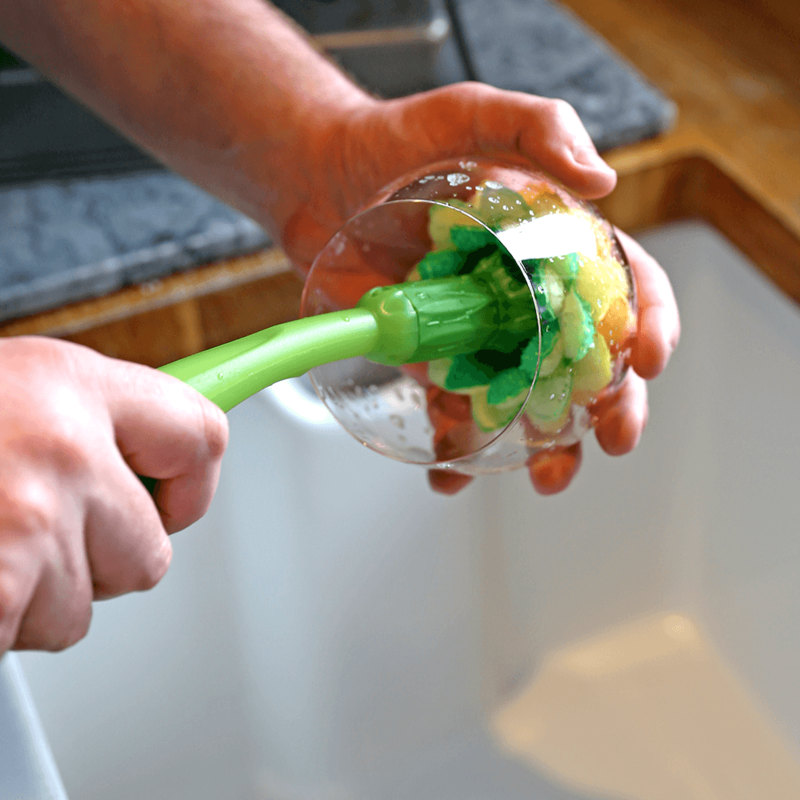 ResoFoam® petals also make tons of suds when washing up. Includes: 1 Daisy multi-purpose scrubbing head, 1 soap dispensing wand, 1 self-draining suction cup base. Soap not included. 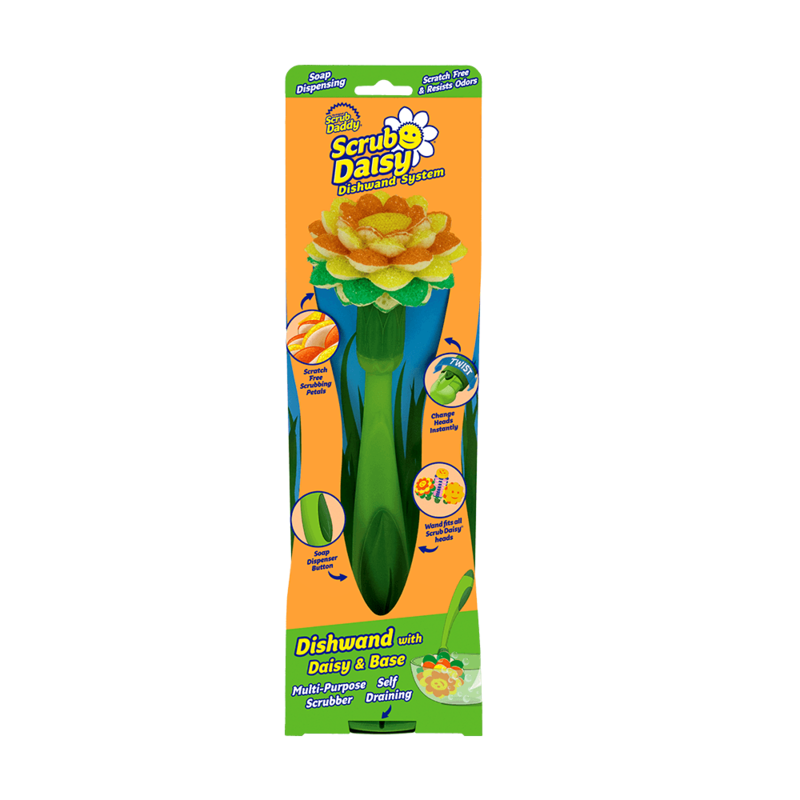 The Daisy Dishwand is 1 of 4 individual components that make up the complete Scrub Daisy Dishwand System. Related products are available for purchase separately. 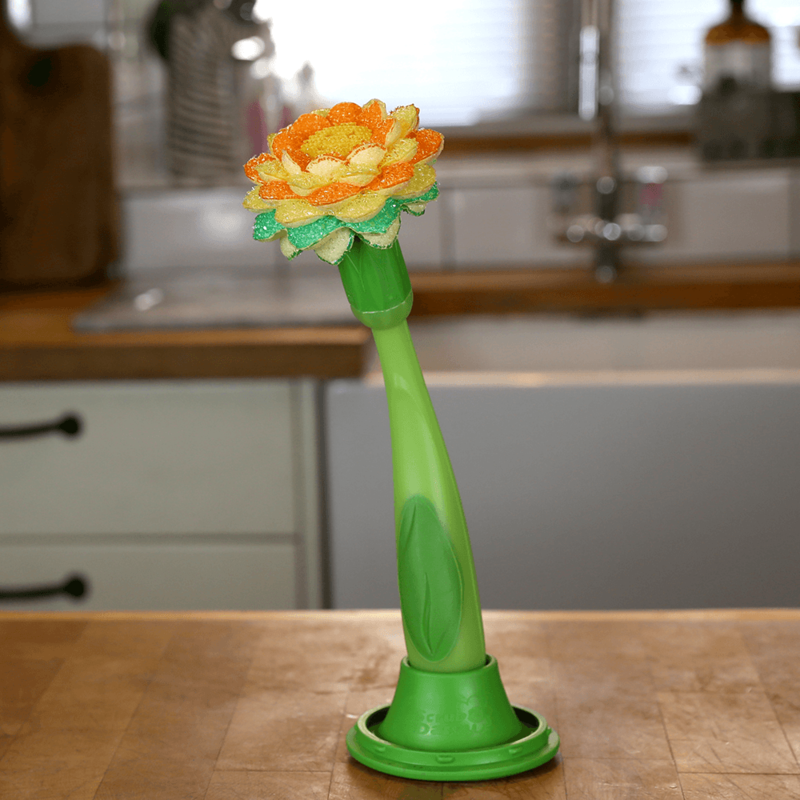 The Daisy cleaning head is a multipurpose scrubber, ideal for plates and bowl, cups, utensils as well as light-duty scrubbing of pots and pans.